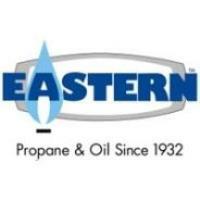 With over 400 employees in 8 offices around New England, Eastern may have a position that is the perfect fit for you. Our employees are dedicated to serving our customers, and we are dedicated to supporting our employees. We employ individuals who are highly motivated, detail-oriented, safety-conscious and demonstrate a high desire to achieve. We provide health, dental, short-term disability, and life insurance with NO premium contribution for employees. We also offer voluntary insurance products, prepaid legal services, flexible spending accounts and a 401k with a generous company match. As an additional perk, employees also enjoy gas and oil discounts for themselves and their relatives, products at cost, and a generous annual allowance for uniforms, if required for the position. We look forward to welcoming you into the Eastern family!